City councillor Mike Nickel plans to run for the United Conservative Party in the next provincial election. 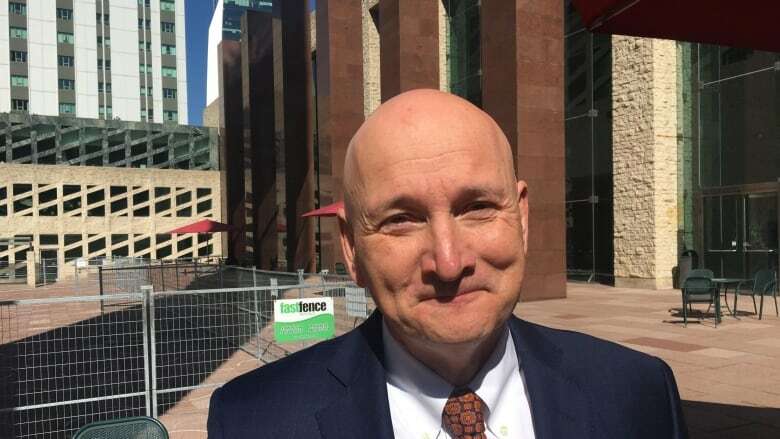 Councillor Mike Nickel will vie for the nomination of Alberta's United Conservative Party in Edmonton South. Nickel announced his intention Wednesday morning to seek the UCP nomination in the new riding of Edmonton-South. Nickel told CBC News that he has one or two elections left in his political career and wants to represent the city at the Alberta legislature. "I've done as much as I can do from a council seat," Nickel said. "There's a lot of problems that need fixing for this city that can only be done on the provincial level." He wouldn't specify which issues he plans to tackle. He said he believes the UCP is in need of a good urban policy, platform and narrative. "What we have in Edmonton is not what they have in Calgary, and it's certainly not what's happening in rural Alberta. I think they're in need of a strong, urban, Edmonton voice." Nickel is known for being fiscally conservative — consistently questioning fellow councillors and city staff on their spending decisions. But he said he doesn't fit in with the socially conservative reputation the UCP has developed. "Everyone knows that's not me. I'm a moderate," he said. "I'm back to value for your taxes, transparency and accountability. These things sell to everybody." He acknowledged his timing isn't the most convenient, as the municipal election was just last fall and councillors are just eight months into their terms. Nickel was first elected to council in 2004, representing Ward 5. He ran again in 2007 but lost. He was elected again in 2013, in Ward 11, and won a second term in the same ward in 2017. The UCP is holding an annual general meeting for its new Edmonton-South constituency association on June 12. After that, Nickel expects to hear when the party will open nominations for the seat.